In case you want to check whether your favorite fruit is actually the most popular one, scroll down and catch a glimpse of 12 most popular, best selling fruits in the world. Who knows, you might be a part of our statistics! 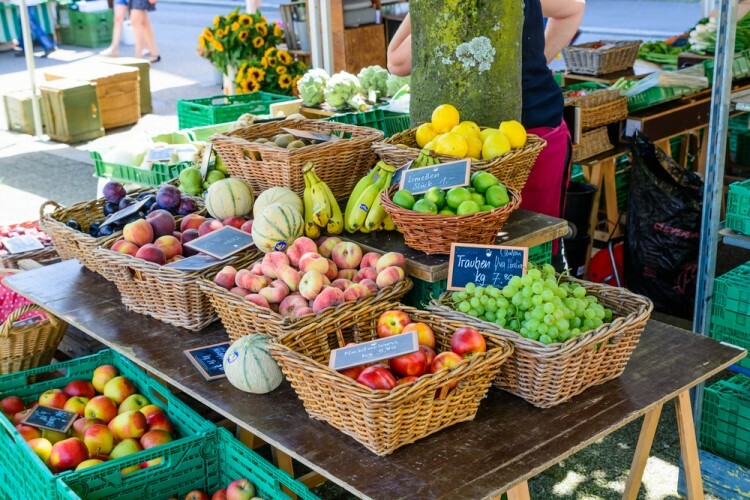 Bearing in mind that fruit is a great source of minerals, vitamins, dietary fibers, antioxidants, energy, and consequently health, the doctors often recommend its consumption from 5 to 10 portions a day, in order to cut risks of high blood pressure, diabetes, and heart diseases, to name a few. Well, we are all familiar with the famous, “one apple a day keeps a doctor away” lines, but do we really eat enough fruit? It is estimated that fruit consumption per capita was 73 kg in 2013. Latest studies suggest that consuming around 800 grams per day can save you from the premature death. So, what are the top 10 most consumed fruits in the world? Bananas and apples are considered to be one of the most popular fruits in the US on the basis of its consumption average per capita, what doesn’t come as a surprise. Just ask any person about how many bananas, apples or berries they eat. We covered this topic a while ago in the article 10 Most Consumed Fruits in the US. As for the rest of the world, the trends in fruit consumption are similar to those witnessed in the US. Let’s question a quality of the fruits a little bit. It is a common thing that we always equal fruits with healthy, energetic and active lifestyle, bio and organic products of colorful and lively looks. Such a propaganda, isn’t it? Let’s test it right away. Are you eating an apple right now? Well, if you are, ask yourself, what exactly do you know about its production, growing, storage? Nothing? Yeah, neither do we. And that is definitely the reason to worry about. We are eating fruits to stay healthy, but in most cases, the exact opposite happens. What we get is genetically modified fruit in its best pack. Are you still eating that apple? You definitely shouldn’t! The country’s economic progress is directly related to its agriculture, production, and exportation of the goods. When it comes to fruit industry, our list of countries that export the most fruit in the world can really help you analyze the quality of their fruits, since those are the countries that are heavily investing in their fruit sector. You can consider yourself lucky if you are living in Spain, Ecuador or Costa Rica, the largest exporters of fruits in the world. The popularity of a product is unquestionably related to the level of its consumption that consequently affects the sale rates. Meaning, the best selling fruit in the world is actually the most consumed one. According to that, the most eaten fruit in the world in 2016 was mango. In case you wonder what is the most popular vegetable, the tomatoes (also pronounced by some as the most popular fruit in the world in 2016) and potatoes are fighting over the top place. Potatoes were the most popular in 1995 and 2013 while the tomatoes were the top vegetable in 2004, 2007 and 2010. So, next time when you decide to eat an apple, maybe you can eat a tomato instead. While researching the most popular, best selling fruits in the world, we examined various fact and figures, data and sheets on the worldwide production of the fruits. Our primary goal was to compare the production rates publicly available on Food and Agriculture Organization of the United Nations (FAOSTAT) with the global food production values provided by Statista. Compounding these two components and comparing their values, the average number has been ranked in order to clarify what’s the number one fruit in the world. Let’s take a tour of a healthy way of life and check our list of 12 most popular, best selling fruits in the world!